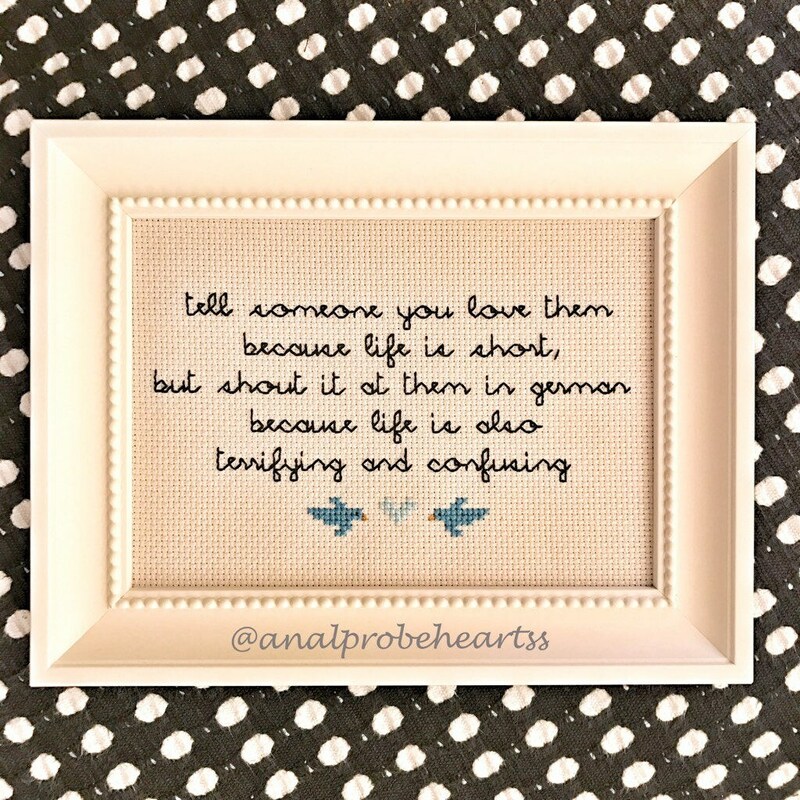 Please note that these heartwarmingly offensive cross stitchings are made to order, custom colors and designs available on demand! Your stitching will come with the frame pictured or one similar and comparable. Please send me a message if you have any questions or preferences on frame. Frame opening measures 3.5"x 5"
Items shipped USPS 2-day. International items are shipped USPS. Greeting cards are NOT shipped with tracking - hence the free shipping. If you would like tracking, shipping will be $7 for a flat rate envelope. Please message me for this option. No refunds after item has been paid for. If an item is damaged after shipping, please send me a message with photo of damage and I will make it right. Please allow up to 72 hours to receive a response to messages.